SAMPLE: Azure v AWS - Judging Trade-Offs. Judging cloud platforms is one of the things I find myself doing a lot these days. Working mainly but not exclusively on the Microsoft stack, this generally boils down to two main options. AWS or Azure. Now, personally, I go for AWS by default. However, for various reasons, I refuse to tie myself to any one vendor. Plus, it allow an effective, vendor neutral position to be taken and for those that know me, it cuts straight through sales cr*p to see if what vendors are saying actually matches their promises (in the main a lot don't). I tend to do this in conjunction with the organisation procuring, since it's important not just to check that vendor systems work, but that it works in context. This is especially the case when organisations are aiming to become more agile, since they will have a much closer working relationship with vendors than most vendors may feel comfortable with. So it is another tool in the toolbox to help evaluate how the line of business as a whole (business, data, application, technology, support and security) works. How Do I Evaluate the Difference for Stories? Trade-off analysis doesn't start with this question, but with a previous question, which is "What is it I want to achieve?" since this then leads to the all important question "What question(s) do I need to ask to evaluate vendors?" and there may be multiple ones you need answers for. So that I can extend the application in the most cost effective way"
Once we've understood the value of terms like 'cost effective', we can now look at what the availability needs are. 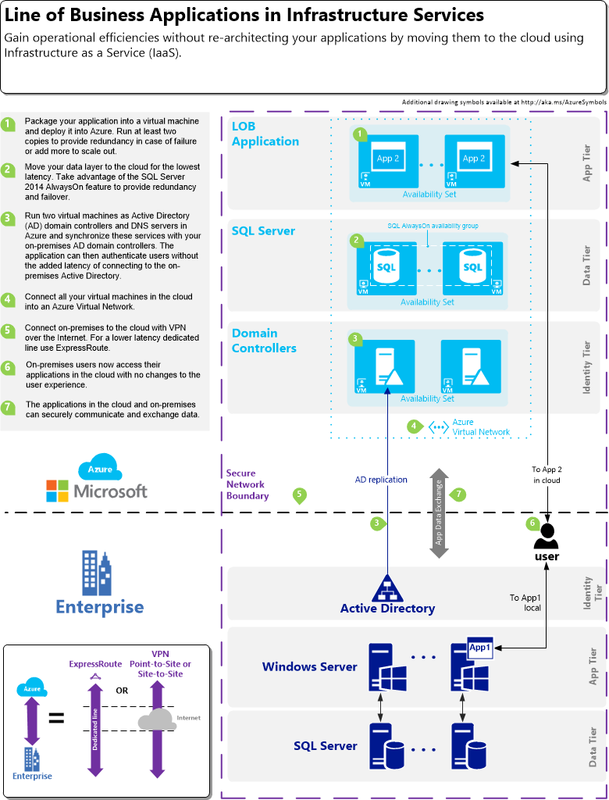 Let's use Microsoft Azure's own infrastructure diagrams for this. 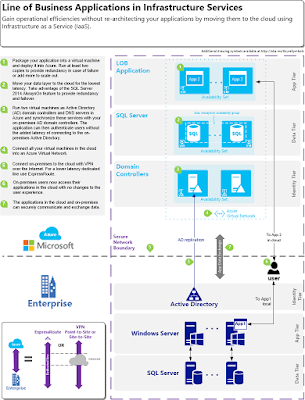 Attached is a snip of a Microsoft Blueprint for Azure hosted infrastructure. So that's the price... and AWS is cheaper... for 'bigger' hardware (same pricing tier, though did the story contain anything about application hardware specs?). Still, it's one of the two variables you need to determine cost-effectiveness. The other variable is availability guarantee. Using the same techniques found here, it looks like it gets worse for Microsoft when looking at systemic availability. Note, systemic availability is actually the important thing in every platform. The availability of individual components is next to no use to you as an enterprise. It only takes one component to fail irrevocably and your platform is done. Heard the old adage "You're only as strong as your weakest link?" When thinking systemically, such effects are a lot worse than your weakest link, since you can never make up for one weakness without impacting other elements. This is one of the reasons we host on two different, load balanced servers. Since for one single application-services-data stack on 3 VMs, each with 99% availability, we can only have an expectation of 98.01% uptime in total. I started writing up comparisons for Reserved and Up-front pricing on AWS and Azure and felt the original post getting too long, even for me. So I've split it into a couple of posts to launch bit-by-bit. The crux of all of these is to always know the question you're trying to answer. It's not a matter of boiling the ocean on day-1. After all, that's the promise of cloud. You can scale the frying pan later. Also, don't forget that you have a number of other options to bring these costs down. MSDN subscriptions and BizSpark give you varying levels of Azure Cloud credits and AWS gives you 'free-tier' infrastructure for 12 months which might cover your needs entirely. So you have to consider a more holistic approach to understanding your options and constraints, since the latter is your job, not the vendors.